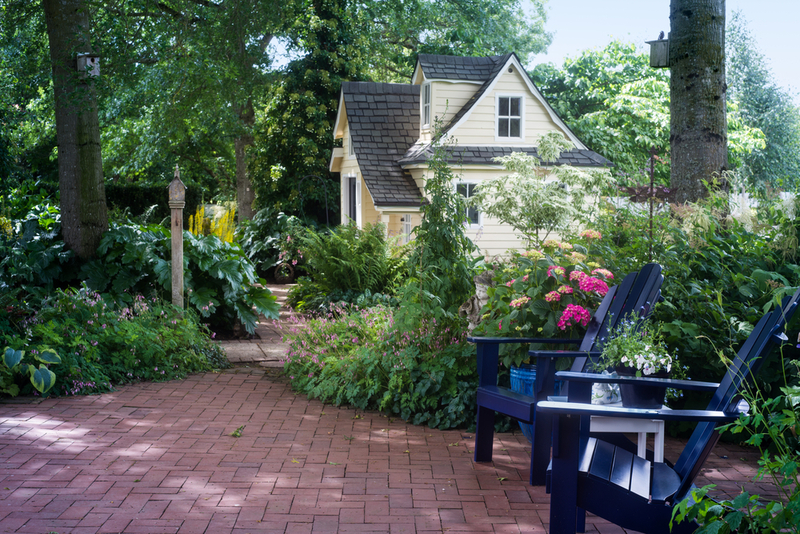 Add instant curb appeal and create a stunning natural setting for your North Iowa home with a lovely garden. For growing success, use plants that are native to the area. This ensures that they are resilient in the changing seasons and will keep your garden looking beautiful throughout the years! We recommend these plants for your North Iowa garden! Happy gardening! Cover the lower parts of your garden with daisy shaped flowers. Keep it next to plants that blossom in the summer time, when this plant goes dormant, in order to avoid blank areas in your garden. When planted in full sun, this baby blue perennial will add incredible color to your garden in the beginning of the fall season. Lovely orange blossoms bloom every summer on this prairie plant. It needs direct sunlight but is very drought resistant. Hummingbirds love the yellow and red flowers of this plant, which can grow in shady and sunny areas. Place this 9 foot tall plant in the back of your garden, as long as there is full sun hitting it! You will love the bright yellow blossoms that bloom. Keep this plant hydrated in order to enjoy its white flowers atop 6 foot tall stems! Butterflies love this midwestern plant. Enjoy beautiful golden yellow flowers in the fall when you plant goldenrods in well-drained soil and full sun. Fill those shaded areas with the berry producing plant. Add interest to the sunny parts of your garden all year round with this grass, with purple hues in the fall/winter and greenish blues in the spring/summer. In full sun and well-drained soil, these pink flowers will self-seed within your garden to create a beautiful spread of color. This perennial will blossom with white flowers and burgundy leaves every year in moist soil. Use this wine colored, ground cover plant as the perfect border for your garden. It needs full sun but otherwise is very hearty and especially resilient to pests. Enjoy a lovely pop of colored every year with this perennial. It will survive in the sun or the shade as long as it is planted in moist soil. Attract monarch butterflies to your garden with these beautiful tall pink flowering plants. While this plant can thrive in average soil, it needs ample sunlight in order to properly grow. Fill up your garden with stunning large white flowers. Plant along the border in moist, organic-rich soil. For other curb appeal ideas and Selling tips, Jane Fischer & Associates is here to help! Give us a call today at (641) 424-4663 or visit at https://www.janefischer.com/ for all your selling needs!